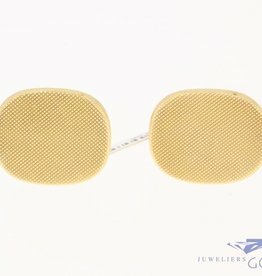 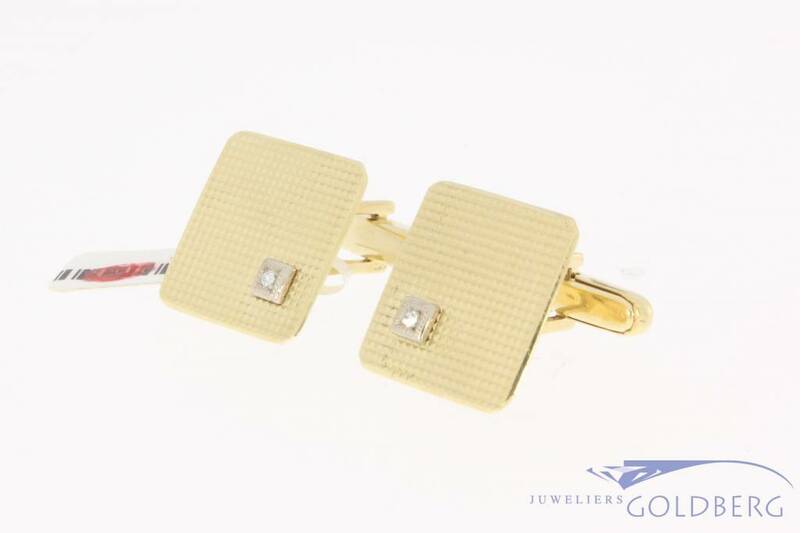 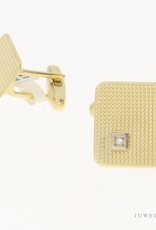 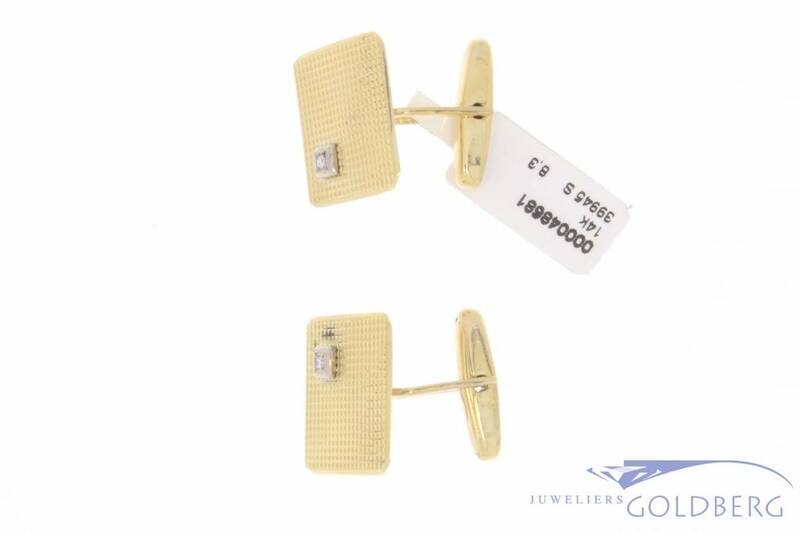 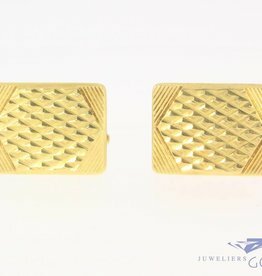 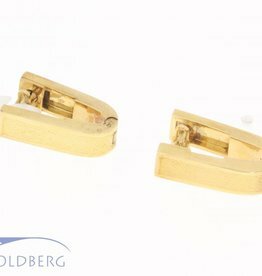 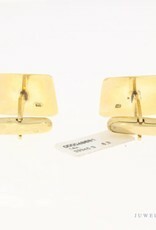 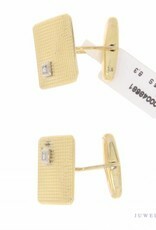 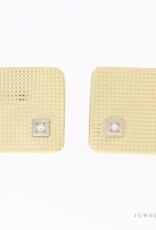 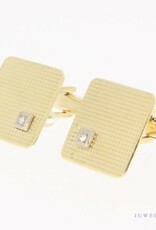 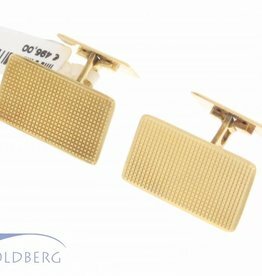 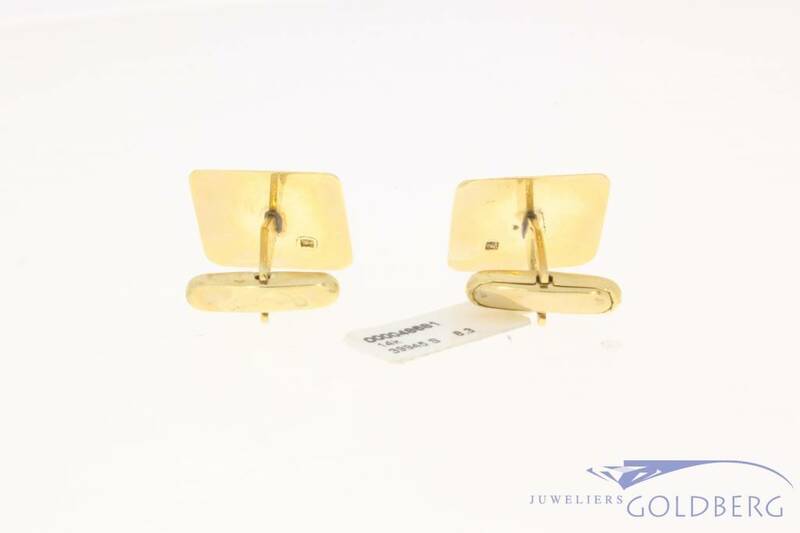 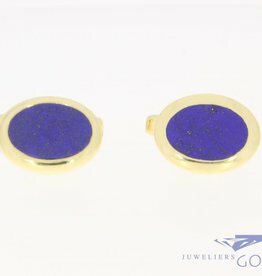 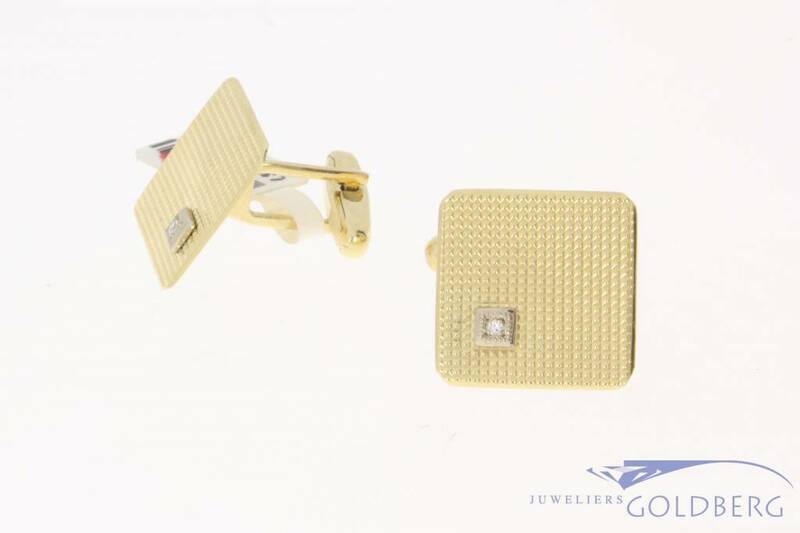 Elegant vintage 14 carat gold square cufflinks with diamond. 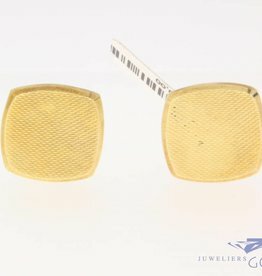 The surface of the jewelry is nicely edited. 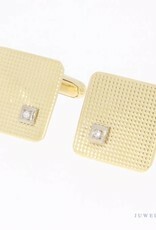 The cufflinks are each inlaid with one diamond each, so 2 in total. 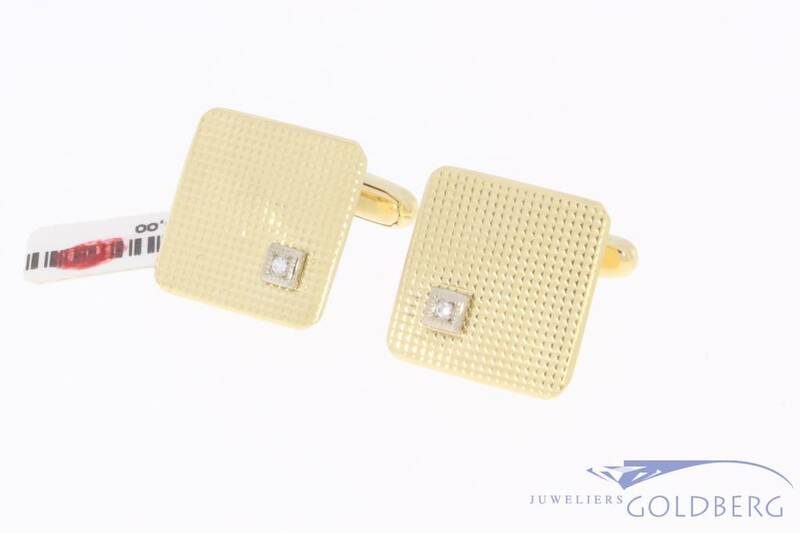 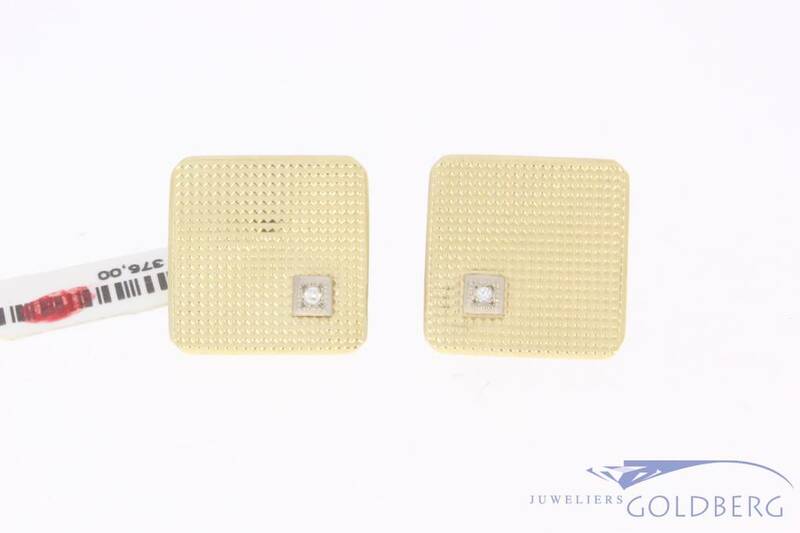 Although the jewelry is largely yellow gold, the square settings in which the diamonds are located are white gold. 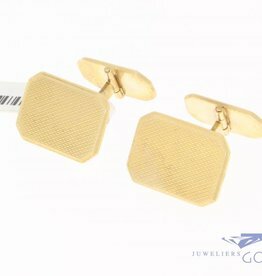 These settings are placed on top of the cufflinks. 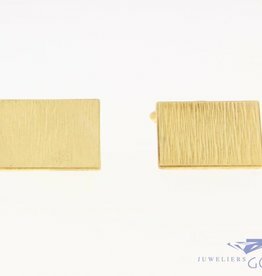 The dimensions of the square are approximately 17.83 at 17.83 mm. 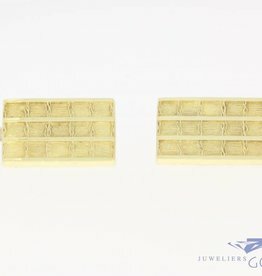 The total weight is 8.3 grams.